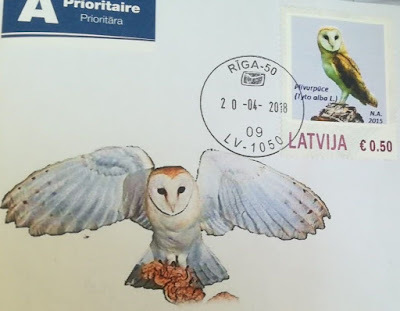 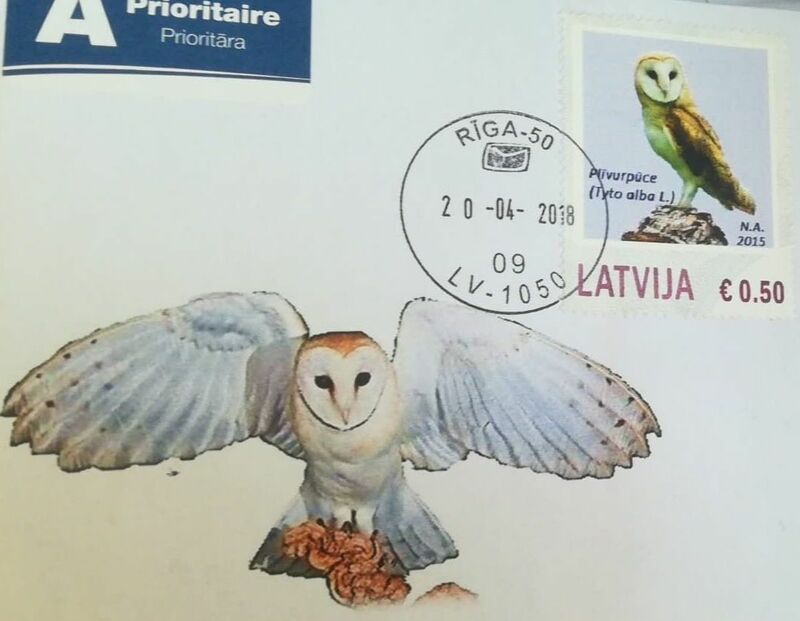 Special issue of a Barn owl posted from Riga, Latvia. 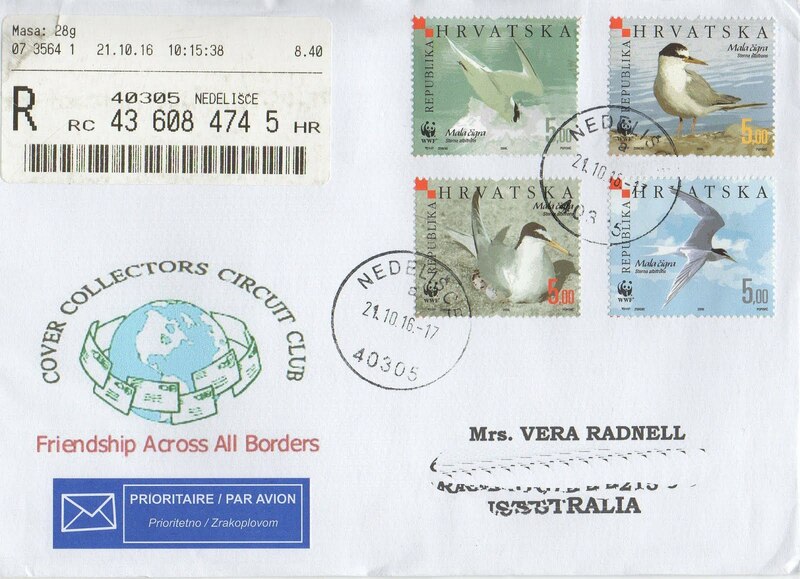 2006 WWF set from Croatia featuring the life of a Little Tern seen flying, standing and with eggs. 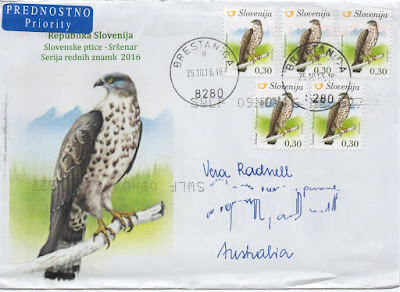 Issued in January 2016, this European Honey-buzzard , from a set of 5 European birds, is used to make an attractive single theme cover with multi-use of the stamps. 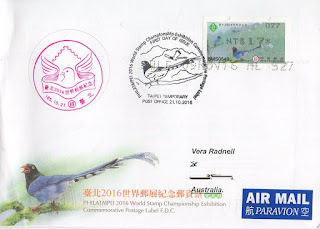 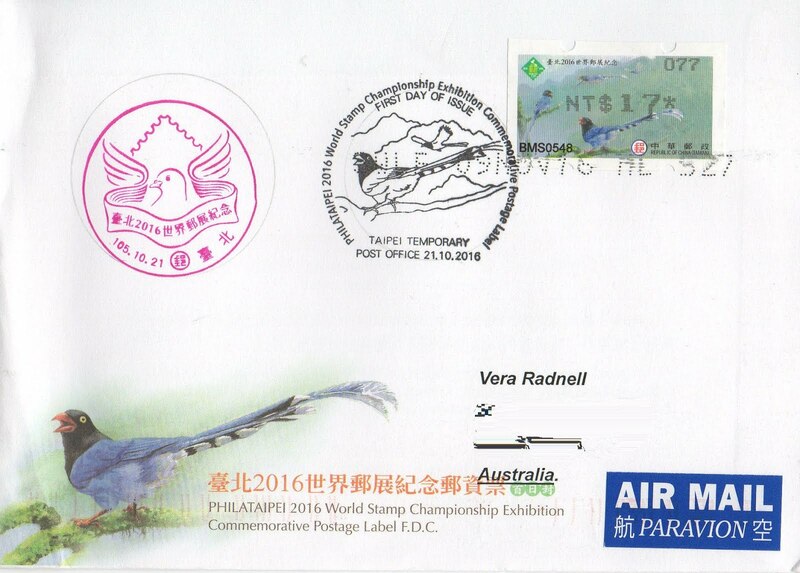 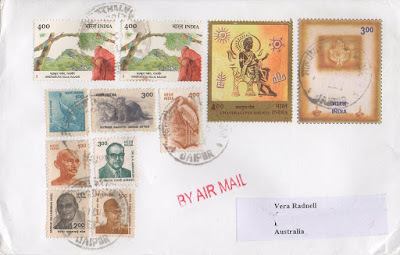 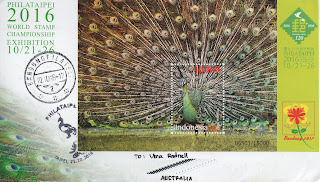 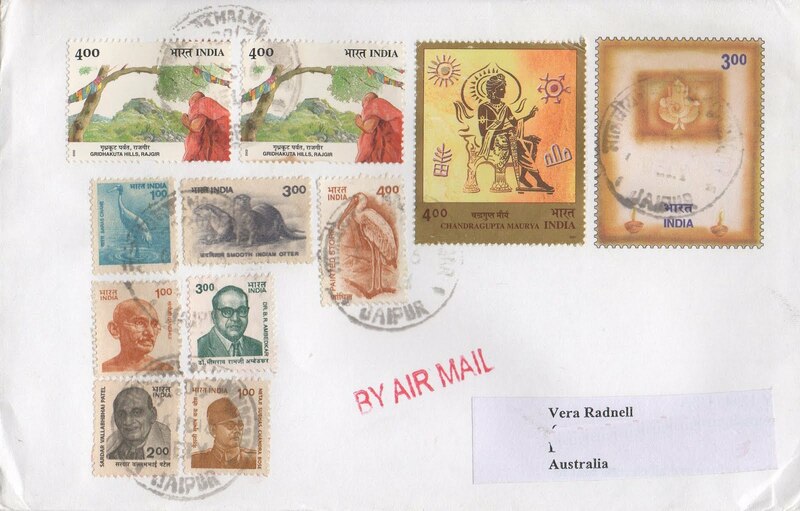 A mixed theme cover which has two definitive bird stamps. 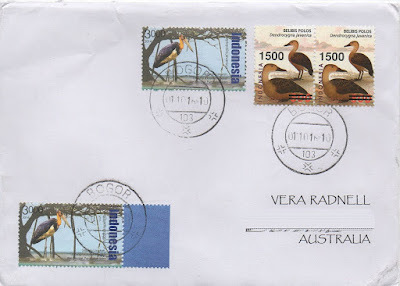 The 2001, 4r Painted Stork ( Myceria leucocephala) and a year 2000, 1r Sarus Crane (Grus antigone) cancelled in Jaipur, India.